Today’s post was written by our friend Quoida Lauzon, RN. Quoida has worked in the healthcare industry for the past nine years, from military installations to local clinics. She’s a licensed RN in the state of NY with a Bachelors of Science in Nursing. She is first aid/CPR trained for adults, children, and infants. Quoida’s practice focuses on and supports postpartum moms with their new babies and helping families adjust to their new roles. Learn more about Quoida at nurseq.com. Becoming a parent is a beautiful and emotional new chapter of life. When you become a parent you truly evolve, grow, and change as a person. Parenting has changed me, personally, for all the good reasons. My daughter is almost three years old now and she is my pride and joy! When I speak with new parents, I talk from my experience both personally and professionally. I remember coming home from the hospital with my baby girl in sheer amazement that we are going home with this little baby. I was very thankful and excited to have the opportunity to be home with her. Though I was excited with this new beautiful chapter in my life, I also had to adjust to this new norm, find a balance, and find my rhythm with a newborn. I didn’t have family close by, but I still realized that I didn’t have to do everything on my own. I always emphasize to parents these two main topics; taking care of yourself and finding support. I always advise moms to make sure that they take care of themselves. When you take care of yourself, it trickles down onto the rest of your life. Your able to be the best version of yourself for you, your baby, the rest of your family, and your work. The early newborn stages can be exhausting, but communicating and making a game plan with your partner or support person will set you up for success in your parenting journey. New parents often laugh when I tell them one of my top tips to boost mom’s mood is a shower. It is so simple, but I promise even a shower will make you feel amazing. Always find time for yourself because these little steps are really the big things at the end of the day. Let’s talk about finding your support team. I tell every parent, whether they are planning to go back to work outside of the home or work in the home as a stay at home parent, that it’s crucial to make a network and support team. I have met some amazing mothers in parent and baby classes. Some of our favorite classes have been baby gym, music class, and dance class. I am thankful for those friendships that have developed. It helped me mentally, physically, and emotionally. Meeting other parents can help you know you’re not alone, especially in those sleep regression stages. Knowing you’re not alone is key! A lot of families need two incomes. Transitioning into being working parents can be a challenging and stressful time. However, you’re not alone and this is why it takes a village to raise children. You, your family, your friends, and your community all help shape the person that your child will become. Choosing an environment for you and your child to be set up for success is what we all want. There are many options for daycares. You will want to do your research. Did you know that there are options for full-time or part-time nanny-at-home services?! A great example of such an option in our area is A New England Nanny. I really think their service options are wonderful because you can count on them for just a couple of hours for a date night or if you need them for a full day while at work. These services may be just what your family needs. When it comes to parenting, it is all about finding what works for you and your family. You will most certainly hear about “what’s best” and what other people think. I am here to tell you that it is YOUR family, YOUR child, and YOUR decision. If you need help in finding balance, adjusting to your newborn, and finding your rhythm there is help out there. I offer services in home to help with just this. 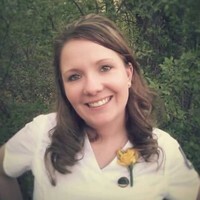 You can find me at nurseq.com. A lovely person who has a big heart.